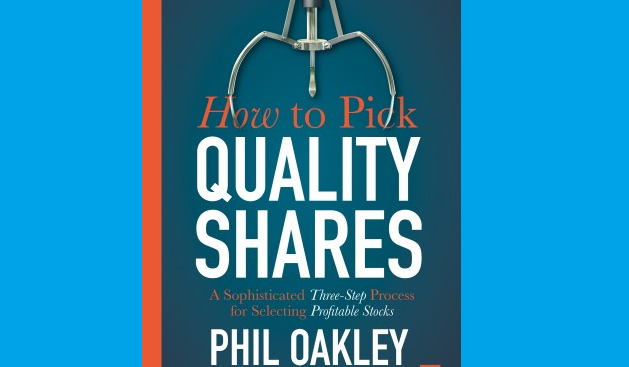 Phil Oakley’s new book, How to Pick Quality Shares, details a three-step process for selecting profitable stocks. It’s the kind of investment book I like because it’s mostly focused on numbers and ratios, and it approaches the topic of investing in a down to earth and step by step manner. I found the book particularly interesting because its general goals are very similar to my own (buy quality companies at attractive valuations) but the details of how to achieve those goals are almost entirely different. Is it a quality business? Is it a safe business? Are its shares cheap enough – Are they good value? That sounds almost exactly the same as my own stock picking process. In fact, it’s probably very similar to what most sensible investors do, especially if they’re after good returns from stable, lower risk companies. However, words like “quality” or “safe” are a bit vague. I like concrete definitions and fortunately this book has them by the bucket load. The first part of the book focuses on how to find those much sought-after quality companies. So by quality, Phil’s talking about companies that generate high returns on investment, consistently and over long periods of time. Looking for highly profitable, consistently growing companies is not exactly a novel idea. However, everybody has their own way of finding these companies, so it was interesting to see how Phil approached the task. The focus on ten years of data is music to my years, as this sort of long-term focus is something I’ve banged on about for many a year. I think it makes much more sense than simply looking at results over the last year or two, which is what many people do. And there are plenty more rules in the book if you like that sort of thing (as I do). I thought the most interesting ideas in this part of the book were Phil’s focus on lease-adjusted ROCE and also free cash flow, partly because they make sense and partly because I don’t use either of them. Lease-adjusted ROCE: This sounds like a reasonable thing to do. It involves adding off-balance sheet “assets” such as rented property onto the “capital employed” part of the balance sheet. This will reduce ROCE (profitability) for companies that are heavily dependent on rented property, such as retailers. It’s very sensible, although I think I can poke a few holes in the idea. However, it’s definitely something I’m looking at using in future. Free cash flow: There is something of a cult of free cash flow at the moment, where many investors think it’s the most important metric of them all. That may or may not be true, but I haven’t yet worked out how to turn free cash flow into a reliable indicator of quality. That’s because free cash flow can be very volatile, largely because capital expenses (capex – a key value in the calculation of free cash flow) can be very cyclical and intermittent. For example, many companies will spend almost nothing on capital investments for several years and then make huge investment in factories or other long-life assets in other years. Personally, I prefer to look directly at capex rather than free cash flow, but that doesn’t mean one approach is better than the other. It may be that free cash flow works best if you restrict yourself to investing in very stable, “capital light” companies such as Domino’s Pizza (UK & Ireland), which happens to be the main example used throughout the book. So, having found a quality company with steadily growing revenues and profits, good profitability and strong free cash flows, the book then draws our attention towards common risks and how to avoid them. The first type of debt – borrowed money – should be familiar to most investors. Companies need money in order to build factories or fund research and development, and they’ll often borrow it from banks rather than raise it from shareholders. The reason is that debt is usually cheaper than (shareholder) equity. A bank will expect annual interest payments of perhaps 5% on a loan whereas investors will typically expect annual returns of more than 7% on their equity. The problem with borrowed money is that it increases financial leverage, where the fixed nature of interest payments can cause small changes in revenue to drive large changes in profits (this is good when revenues are growing, but bad when they’re falling). It also means that if profits fall far enough then it may be difficult for the company to pay the interest on its loans. At that point, the lending banks may shut down the company and sell off its assets in order to recover their loans (and shareholder will typically lose all their money). The book also contains lots of detail on other factors, such as fixed or floating interest rate debts, the timing of when debts need to be repaid and issues relating to having debts in different currencies. The second type of debt – hidden debts relating to rented property – is more interesting for me because it’s something I don’t look at. The basic idea is that lease agreements for rented properties are a liability in the same way that a loan is a liability. Why? Because when a company borrows money it agrees to make specific payments (to the lender) over a number of years, and when a company rents property it agrees to make specific payments (this time to the landlord over) a number of years. Phil goes into a lot of detail about how to analyse companies with rental agreements. But there is, of course, much more to it than that. The final type of debt is pension fund deficits, which is something I’ve been looking at for several years. For many companies, especially companies that were once state-run monopolies, pensions can be a real ball and chain around their ankles. The example given in the book is BT, which has a colossal £51 billion pension liability and a £7.6 billion pension deficit (a deficit occurs when a pension fund’s liabilities are larger than its assets). The company is also committed to paying around half a billion pound into the pension scheme, every single year until at least 2030. That is cash which cannot be invested in the business or returned to shareholders as a dividend. Phil likes to compare pension deficits to the company’s market value, and also looks at factors such as the fund’s sensitivity to interest rate changes. Although I take a different approach, I’m glad that Phil chose to mention defined benefit pensions in the book. I think they’re a liability that more investors need to take seriously. At this point in Phil’s three-step system, you will have found some quality companies with steady growth and good profitability. You would have also weeded out any dangerous companies with high debts (visible and hidden) and large pension deficits. The final part of the book focuses on the share prices of the remaining high quality, low risk companies. More specifically, it shows you how to work out if they represent good value for money. Some investors will look for high quality, low risk companies and invest in them regardless of price. Others will look for shares where the price is cheap relative to revenues, earnings, free cash flows or assets, and invest in them regardless of whether the company is high or low quality. Both Phil and I sit somewhere in the middle as we believe that high quality, low price stocks are usually the best place to be. The book contains a good explanation of the discounted free cash flow valuation model, which is as complicated as it sounds. It’s the theoretically correct approach to valuing a company, but it’s very sensitive to the assumed discount rate (i.e. your desired rate of return) and most investors use simpler ratios instead. These simpler ratios are usually ratios of price to revenues, earnings, free cash flows or assets, but Phil’s approach is a little different and is borrowed from none other than Warren Buffett. The idea is to estimate “owner earnings”, also known as cash profits. Cash profit is similar to free cash flow, but it should be less volatile than free cash flow because it uses a smoothed version of capex (which, as I mentioned earlier, can be very volatile from one year to the next). This lower volatility makes cash profits a more stable and reliable number to compare price against than free cash flow. This makes a lot of sense to me and smoothing out earnings is something I do with the PE10 ratio. Phil’s approach is very different to mine, but again that’s good because it means I learned something new. Once you’ve calculated a value for cash profits (which the book shows you how to do) you are then given several different valuation metrics. I think having more than one valuation metric is a good idea, because you’re less likely to get a false signal if you wait for all three valuation “lights” to go green at the same time. Cash profit yield is simply cash profits as a percentage of the share price. If the cash profits yield is very low (perhaps less than 5%), you can use a spreadsheet to work out how much growth over how much time it would take for the cash profit yield on the purchase to reach an acceptable level. Earnings power value (EPV) goes in the opposite direction and calculates price based on the current cash profits and your desired rate of return (the discount rate). If the current share price is way above the calculated earnings power value then investors are probably paying a premium on the expectation of future cash profits growth. The question is, how much of a growth premium are you willing to pay, given that future growth is rarely a sure thing? Maximum price is very similar to earnings power value, but uses a minimal interest rate rather than the one you’d like to achieve. Phil suggests using something like inflation plus 3%. Can quality be more important than price? I agree that you have to pay up to buy quality companies, but if you start thinking that price doesn’t matter then you’re on a dangerous path. It’s too easy to point to the recent surge in the share prices of bond proxies, which are companies with steadily rising sales and profits over many years. For years, value investors have said that bond proxies are expensive, and yet their share prices have kept on going up. Price, it seems, doesn’t matter. Instead, what goes up, keeps going up. Of course if you think that then you’d have to ignore the feeble dividend yields on many of these bond proxies. You’d also have to ignore bond proxies like Coca Cola, which has gone nowhere since 1998 (that’s 20 years, more or less), despite more than doubling its revenues and profits in that time. Why has it gone nowhere? Because the starting price in 1998 was ridiculously high, giving the company a dividend yield of less than 1%. Investors were just overoptimistic and they paid the price with virtually non-existent returns. So yes, you have to pay up for quality, but don’t take the idea too far. Overall I thought this was a good book. It’s full of practical ideas with lots of detail on how to calculate the various ratios. However, you will need to have some experience with income statements, balance sheets and cash flow statements to get the most out of it. But if you have experience with accounting statements and you’re looking to invest in quality shares at a reasonable price, then this book could be a solid addition to your investment library. I can’t share the link here because the research is behind a pay wall but academic research tends to indicate that the best predictors of future stock price appreciation are price to free cash flow ratios and price to book ratios. Low price to earnings tends to be a very poor predictor of performance in this regard. I find that its fairly easy to smooth P/FCF ratios by adding back changes in working capital and smoothing over a business cycle of data. I prefer to use maintenance CapEx rather than total CapEx and this can be calculated by looking at depreciation and the PPE trend on the balance sheet. I have read Phil’s articles and what I don’t like so much about his approach is that he never seems to reach a conclusion. Its usually a case of presenting some positives and then some negatives without a clear idea of when to buy and when to sell. I don’t know if the book is better. Hi Andrew, although I do like to read up on academic research on investing, I’m always wary of simple back-testing of things like low price/book or low price/earnings. Although these portfolios may or may not outperform going forwards, they’re often either filled with hundreds of stocks (which is not feasible for private investors) or they’re wildly volatile (which is likely to see private investors “whipsawed” out of their positions). Having said that, I do think that low price to petty much anything ratios are useful, as long as other factors are taken into account, such as balance sheets and so on. On smoothing free cash flow, Phil mentions working capital and depreciation in his book, and either uses adjustments or rolling averages to smooth things out. From what little work I’ve done in this area though, I haven’t found a method I’m happy with yet, and I don’t really want to add FCF to my list of metrics unless there’s a compelling reason. But you never know; FCF is something I come back to occasionally, so perhaps I’ll weave it into my system at some point. As for Phil’s articles, I’m not sure if there’s some regulatory reason why he doesn’t draw conclusions, but I agree, it would be nice if he gave target prices or just stronger opinions at the end of his articles. On the other hand, I do find his articles interesting and he has a lot of experience analysing lots of different types of companies. Just to be fair on Phil, here’s a link his SharePad articles for anybody who wants to read more from the man himself. Maybe I imagined it but I’m sure I read a ‘suggested reading list’ of good value-investment books from you? Could you point me in the right direction as I’m looking to add to my library. If I did imagine it, it would be a good blog post! The Little Book That Builds Wealth – This is about competitive advantages and economic moats. I use these ideas all the time. 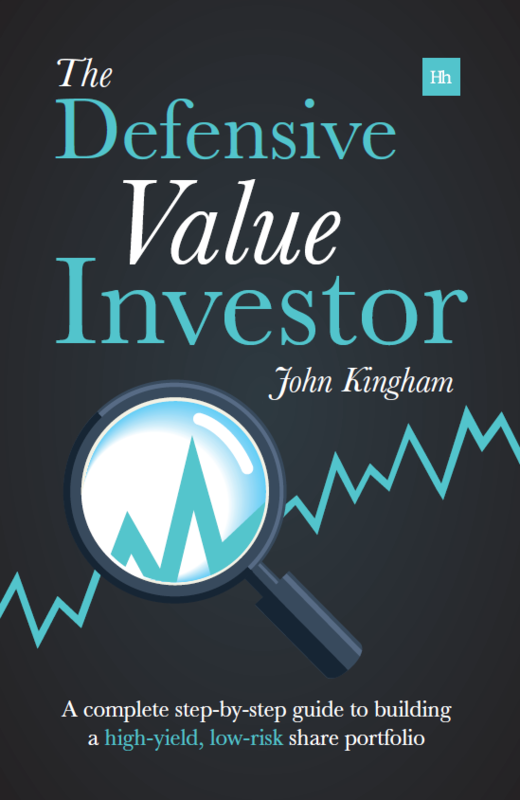 The Intelligent Asset Allocator – Despite this being about Modern Portfolio Theory, this book got me into value investing. But the ideas about diversification and rebalancing are still an important part of my strategy. Corporate Turnaround – This is where I borrowed ideas from for avoiding turnaround situations that won’t turn, i.e. value traps. The Most Important Thing – Excellent book on the sort of philosophical and psychological aspects of value investing. 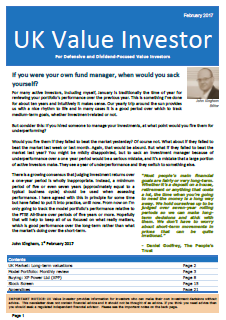 The Little Book That Still Beats The Market – Very easy to read, and I borrowed the ideas on ranking stocks to build my own stock screen. Those are the ones that spring to mind, but I’m sure every book I read affects my strategy to some extent (even books on Stoicism or Zen Buddhism, for example). Interesting summary. I haven’t read the book, but I have read the investment analysis guide Phil wrote and made available on his web site. The sections are well presented and thought through, and I’m aware that his many articles are indeed inconclusive, possibly because he fights shy of being incredibly wrong some way down the road — we all know it does happen no matter what approach you adopt and no matter how rigorous. 1. Competition threats – and this can be from similar companies or competition in terms of a completely different and innovative approach to the same problem (take $ shave for example – the founder admits knowing nothing about the technical aspects of the shaver, but simply applied a different business model, undermining the tradional approach by Gillette ). 2. Changes to an industry that will almost certainly see the company levelled (e.g the iPhone and the impact on Nokia). or closer to home might be the electrification of the car and the crushing of all the R&D, infrastructure and intellectual property of all the companies associated with the internal combustion engine. 3. Operational gearing and the shift in perception should an industry suffer a change of direction. An example might be investment management who’s very high operational leverage can kill what seems to be a high profit margin or “ROCE” when a relatively small change of capital flows back out by customers occurs. This aspect of investment thinking needs to be placed alongside raw number. The difficulty is that this is in itself difficult because it requires you to have a reasonable grasp of the industries in question, and the trends in those industries. Sometimes numbers are important and investment ratios are valuable, but can be rendered meaningless in a fundamental shift in the environment, or technological change, which no amout of “good management” can prevent. Hi LR, I totally agree. While a numbers-only approach can work in theory, most active investors will be far better off if they combine number crunching with business and industry analysis. of course, even then you can’t always avoid the occasional catastrophe, so diversification across many different companies and sectors is an important second line of defence.